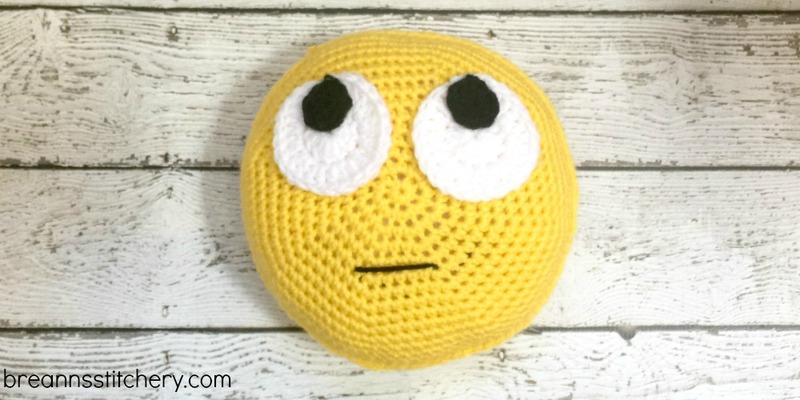 This Emoji Amigurumi Pattern is an easy pattern for a beginner level amigurumi. 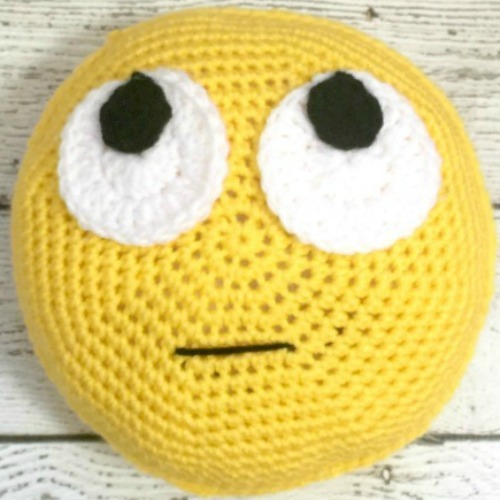 I am by no means an expert or even seasoned amigurumi crocheter and I found this emoji very doable. I ended up making three of these little stuffies! It was a fun weekend project. Finished emoji measures approximately 8 inches in diameter. 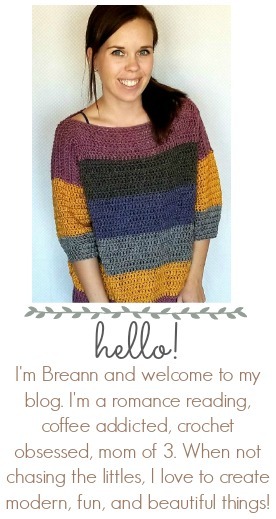 You will be crocheting in the round for this pattern. Do not join at the end of each round, just continue crocheting around. Be sure to use your stitch marker for the beginning of each round. Leave a long tail for sewing, weave in the other end. Sew the black circles to the top edge of the with circle for the rolling eyes. Sew the eyes on to one of the panels. Then using your yarn needle and black yarn, sew the straight line for the mouth. Put panels together, right side facing out, and sew both sides together using a slip stitch. I had the back facing me so the slip stitches would be on the back of the stuffy. When you’re about halfway around, start stuffing with fiberfill. As you continue to sew around, continue to stuff, stuff, stuff! Until it’s nice a firm and all sewn up!